Welcome to Bud’s Shop ‘n Save Bud’s Shop ‘n Save Supermarkets have shown their commitment to their customers for 64 years. 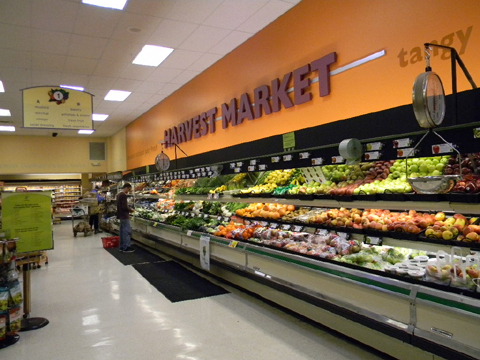 We are a full service Hannaford Supplied Supermarket. Whether you live, work or play in the Pittsfield community, vacationing in the beautiful central Region of Maine or just traveling through, stop in at Bud’s Shop’n Save. 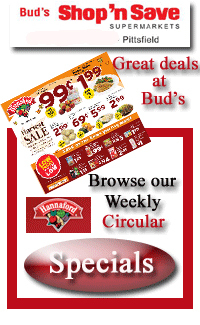 For more information about our Hannaford relationship click here. Or feel free to browse our departments, services offered and more. Thank you for visiting us at Buds!